(90 degree left angled) Mini USB male 5-pin to 90 degree right angled Micro USB male 5-pin data charger cable. 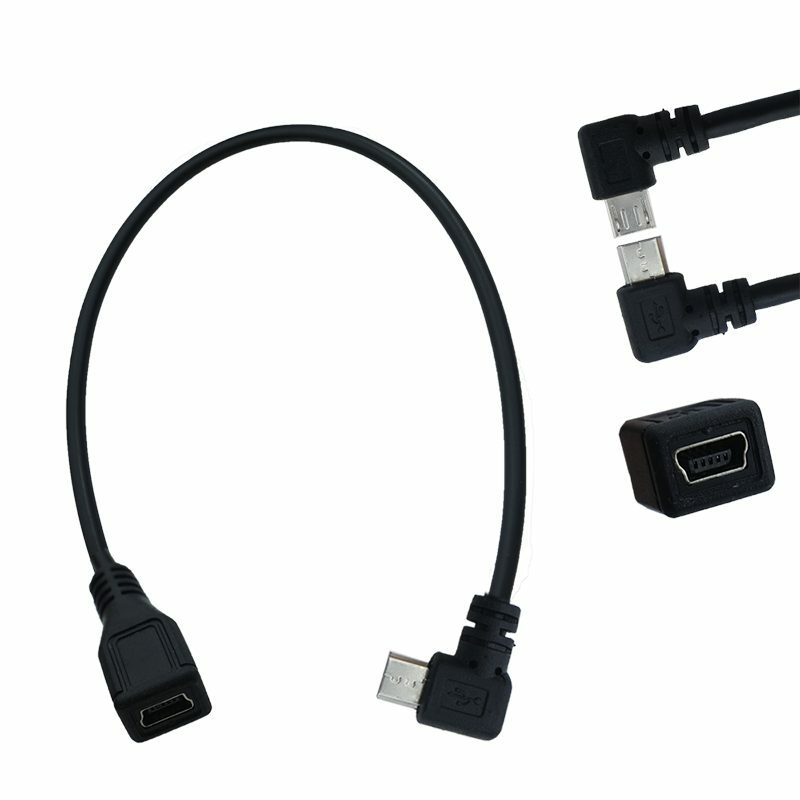 This cable is used to connect your micro-B USB Port of your Android smartphone/tablet to the mini USB B socket of your portable hard disk. shielded cable for better data transmission.